We have a fantastic debut author interview for you today-- a conversation with Martha Brockenbrough! We know you're thinking: "I've heard of Martha Brockenbrough! She's not a debut author!" It's true, folks. 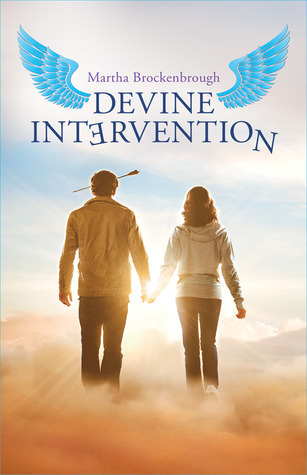 Martha has written nonfiction, but Devine Intervention is her first YA novel, which is certainly cause for celebration! She talked to us via Skype about writing for young adults, her involvement in the founding of National Grammar Day, and, of course, all about her heartwarming, hilarious novel, Devine Intervention, which just came out last week. Visit Martha's Web site to learn more about her. Hosting courtesy of archive.org. Intro music by 46bliss. Special thanks to our sound engineer Erica for her excellent work in editing our interview with Martha. Please subscribe to Authors are ROCKSTARS! on iTunes so you'll never miss an episode!